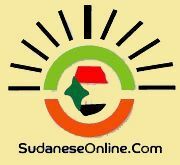 Khartoum, Jan. 27 (SUNA)- The spokesman of the Ministry of Foreign Affairs, Ambassador Ali Al-Saddiq, said that the recent report of UN Secretary General on Sudan before the Security Council has included several positive signals. He said that the report of the UN Secretary General has underscored importance of gradual UNAMID withdrawal from Darfur following the progress achieved concerning the criteria set by the African Peace and Security Council and the UN Security Council in this regard. He said that UN Secretary General's report referred to decrease of the military confrontations between the rebel movement and the Armed Forces. He indicated that the report has acknowledged efficiency of Sudan government efforts for containing the tribal disputes and underscored effectiveness of the local mechanisms for reconciliation and compensation. Ambassador Al-Saddiq said that the UN Secretary General has appreciated in his report the efforts of the states' Walis (governors) in expanding security and stability. He said that report also referred to the cooperation of the government regarding the unexploded weapons, adding that the report gas acknowledged that the majority of the displaced citizens have returned to their home areas, namely in Central and East Darfur. He said that the UN Secretary General referred to arrest of the Sudanese authorities to around 100 unruly persons and referred a number of them to justice, a matter which affirms efficiency of the justice authorities. The Foreign Ministry's spokesman said that the UN Secretary General did not visit Darfur, but managed to reflect in his report the information submitted to him by UN officials. Ambassador Al-Saddiq said that the UN Secretary General's report also included erroneous information that did not reflect the real situation on the ground.